"All I need," Dennis Wilson of the Beach Boys was once said to have remarked, "is a big surfboard—and a piano." In the Bay Area, the surfboard is clearly optional; good surfing is seasonal, while good piano music can be found all year. There is an enormous number of organizations which present intimate chamber concerts—some featuring world-class musicians—nearly every weekend of the calendar year. The piano, it seems, is often at the center of such events. "It's staggering, just staggering," says Terry McNeill, founder and director of the Concerts Grand series. "It's amazing how much classical music is going on in this area. I looked today, and I think there are 45 concerts or recitals taking place this month alone, just in the North Bay—including, of course, our season kickoff with the Iranian pianist Sara Daneshpour." Now in its eighth season, Concerts Grand gives audiences a close, intimate musical experience with a single musician. Most concerts are held at Newman Auditorium, on the Santa Rosa Junior College campus. Ticket prices are affordable, usually between $15 to $17, and McNeill has managed to attract some of the globe's best-known pianists and a number of exciting up-and-comers to the auditorium in Santa Rosa. "Sara is the genuine article as a virtuoso pianist," McNeill says of the 21-year-old Iranian-born Daneshpour, scheduled to appear on Sunday, Oct. 17, at the Newman Auditorium at SRJC (1501 Mendocino Ave., Santa Rosa; 3pm; $15&–$17; 707.526.2447). 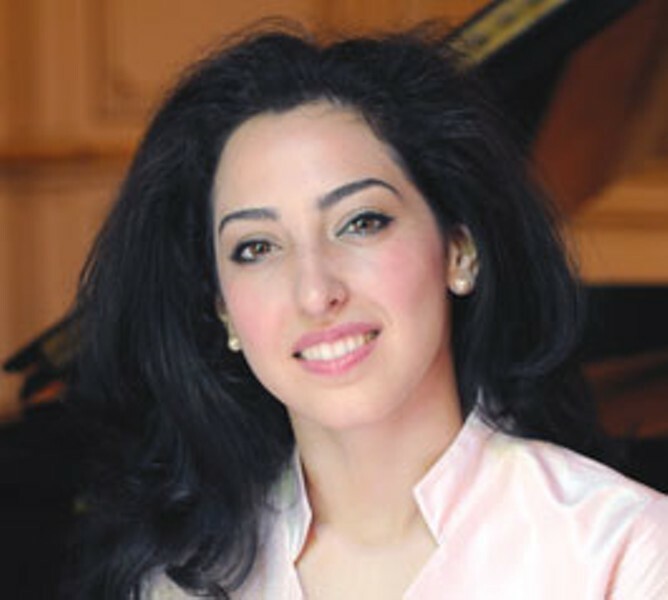 Known for her fearless style and eagerness to tackle long, scary pieces, Daneshpour will be performing works by Scarlatti, Rachmaninoff, Prokofiev, Schumann and Debussy. Says McNeill, "She's got a big sound, tonal colors, lots of excitement. She was the silver medalist in the 2008 Montreal International Piano Competition and just completed a recital tour of Germany." Based in Berkeley, Bay Area Classical Harmonies (BACH) is both a performing ensemble and a presenter of classical concerts. This weekend, BACH hosts Novato-based pianist John Boyajy in a performance of Beethoven's Concerto no. 4 in G Major, Beethoven's Choral Fantasy for Piano and Orchestra and Mozart's Requiem in D Minor. The concert takes place Saturday, Oct. 16, at Mt. Tamalpais United Methodist Church (410 Sycamore Ave., Mill Valley; 7:30pm; $20&–$35; 415.388.4456). An intimate concert of another kind entirely takes place this weekend as well, as pianists Antonio Iturrioz and Seth Montfort perform Chopin, Schumann, Godowsky and Villa-Lobos. Montfort, a composer and piano master, is something of a local eccentric; he's also the founder, in 1989, of the San Francisco Concerto Orchestra, which is (occasionally) renamed the Mortuary Orchestra of Guerneville. Known as much for the labyrinthine weirdness of his website (www.sfconcerto.org) as for the energy and excitement of his piano concerts, Montfort holds his popular recitals in his own home, a former mortuary. The upcoming event will include Chopin's famous funeral march, the Sonata in B-Flat Minor, on Sunday, Oct. 17, at the Composer's House (16375 Fourth St., Guerneville; 3pm; $10-$20; 707.604.7600). Just more evidence that in the North Bay, there is always something different to do. The local classical scene is no exception. For more info., visit www.concertsgrand.com, www.bayareabach.org or find a comprehensive list of activity at www.classicalsonoma.org.